As you may know, Facebook bought Oculus back in 2014 for a cool $2 billion. 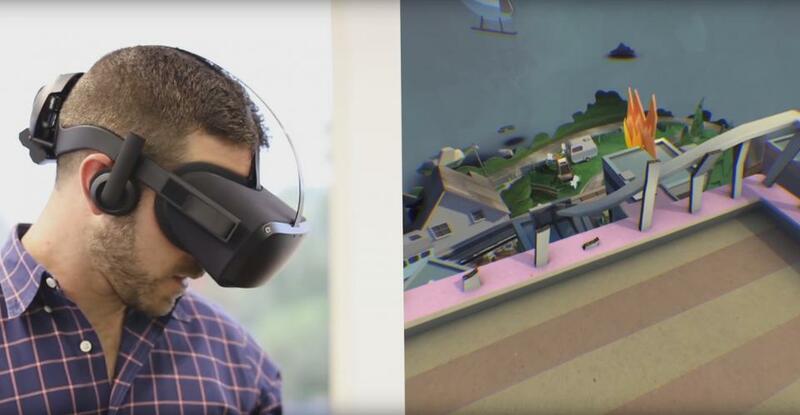 This deal kick started a VR revolution and has accelerated the worlds of AR and VR. However, Oculus has had major challenges since being acquired and has struggled to deliver products on time; Oculus delivered its Oculus Rift headset later than expected due to some logistics and production issues. However, the company is looking to reboot its VR platform with the launch of their delayed Oculus Touch controllers which were originally supposed to launch alongside the Rift VR headset. Oculus Connect is the company’s own developer conference and show designed to showcase the latest from the company and connect the company to its developers. At Oculus Connect the company primarily focused on content for Oculus Touch and rebooting the Rift brand with new Touch games. The company also announced the ability to enable room-scale VR which is what their competitor already has in the HTC Vive. The fundamental problem with Oculus’ solution is that it costs as much as HTC’s but doesn’t deliver room-scale unless you buy an additional third camera for $79 bringing the cost of a full Oculus Rift + Touch solution to almost $900. Competitively, Touch is a must for Oculus and Facebook to increase immersion inside VR. Xbox controllers are a poor tool for VR and don’t engage the user like moving your hands around does. This helps Oculus finally reach somewhat feature parity with HTC…6 months later and for more money, which will not be lost on consumers. The good thing for Oculus is that they have developed a new way of improving VR latency through a technique called ASW (Asynchronous Space Warp) which is different from the previous technique called ATW (Asynchronous Time Warp). This allows Oculus to further reduce the performance requirement of an Oculus Rift down to an NVIDIA GTX 960 which is a significantly larger potential install base of gamers and PCs. In addition to implementing ASW, Oculus was able to partner with Advanced Micro Devices (AMD) and Cyberpower to deliver a $499 gaming PC capable of running an Oculus Rift. This Oculus Rift certified entry-level VR PC allows for the barrier-to-entry for VR to go down from $1600 to $1100 in under a year. This, I believe, has been Oculus’s goal for quite some time. Oculus wants to drive the price of the PC down below the price of the headset, so that the PC is no longer a factor when considering buying the headset. The PC is now an accessory to the headset, so Oculus and Facebook can reach more users than while priced over $1500. Sure, they’re still $300 more than a PS4 and PSVR, but I think that an Oculus Rift would be a much better experience. Oculus teased its standalone Rift headset code, named Santa Cruz, which does not require any of the external hardware that the PC-based Rift requires. That means it doesn’t need a PC, it doesn’t need tracking cameras or any cables. It is fully self-contained and self-powered and self-tracked, much like the VR820 reference design from Qualcomm. I wouldn’t be shocked if there was a Snapdragon 820 strapped to the back of the Standalone Rift, if you think about all the work that Oculus has done with Samsung Electronics to enable the Snapdragon 820 in the Samsung Galaxy S7 and Gear VR. It could also be Intel-powered, with Intel having their own Project Alloy standalone reference headset design as well. Oculus was extremely selective with whom they allowed to see the headset, and no pictures were allowed, nor were any specifications disclosed. Oculus also showed several social game experiences for both of its platforms and is doubling down on social experiences in VR. I believe this is extremely valuable for Oculus, because the company is part of Facebook who not only has the largest social media platform on earth but also gets social better than most other companies. The social impact on VR is not lost on me, and I believe that element has been missing from Oculus’ products up until now. Seeing more social interactions and engagement is also more likely to silence the critics of VR who say it is too solitary of an experience. Ultimately, I believe that my view of more social experiences being better for VR aligns well with Facebook’s and Oculus’ vision for the future. Last but not least, Oculus unveiled a content partnership with Walt Disney Studios to create a series of VR experiences designed to elevate both the Disney brand and the Oculus platform. Additionally, Oculus created its NextGen program which will bring workshops using Unity and hardware from their partners, AMD and Samsung, to universities to help them launch their own content creation programs. Oculus also announced it will contribute another $250 million to its content development fund to help developers create not just more content but more diverse and better quality content. VR will only be successful if there is a killer application that drives the demand towards it. Oculus is just hoping that it is able to help spark the flame of that killer app and that it happens to be on their platform with their headset. Oculus unveiled many interesting things at Oculus Connect 3 and is doing a good job of making people forget their woes earlier this year. I believe the company is finally learning from its mistakes and is doubling down on quality content that is both good and socially engaging. Oculus is finally showing off some innovative, leading technologies and that their research is not just theoretical. I believe Oculus is maturing as a company and is slowly starting to show its value to the industry as a leader in VR. Oculus has invested a lot of money in VR, and some of those investments are starting to show some returns.